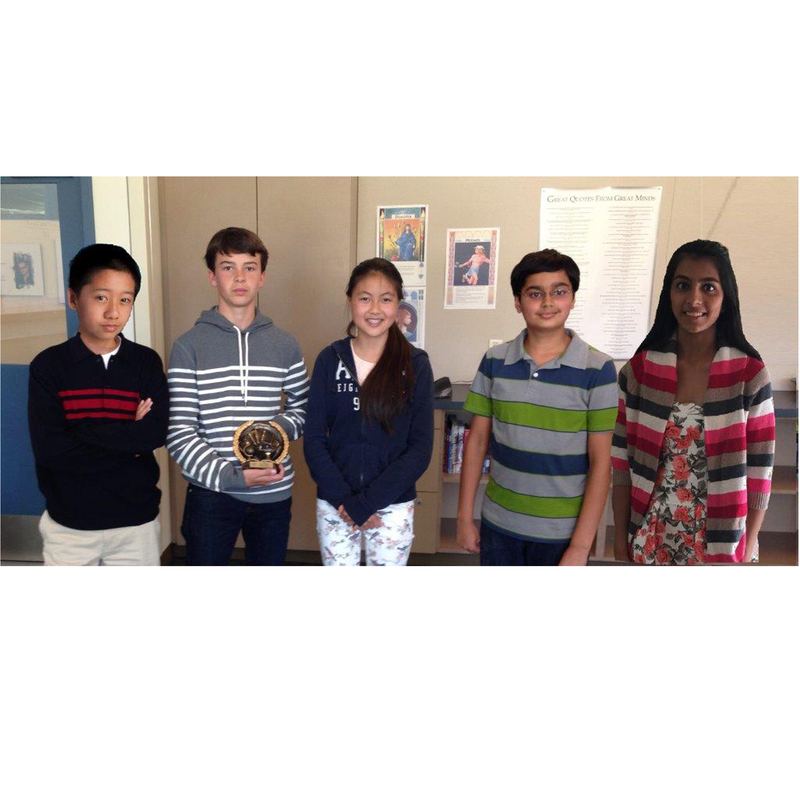 Kudos to the Harker Quiz Bowl Team, which won first place at the 2015 Bellarmine Middle School Invitational on May 24. The event was organized by National Academic Quiz Tournaments (NAQT). Earlier in the year, the team had advanced to NAQT’s Middle School National Championship Tournament, held in Dallas on May 9. There, the team competed with 128 teams from all over the country, advancing to the elimination round and finishing 29th in the nation. The Harker team comprised grade 8 students Nishka Ayyar and Jack Dawson, and grade 7 students Kyle Li, Arun Sundaresan and Jin Tuan.